CSS3 gives designers many new properties and modules (like the CSS Animations and CSS Transitions modules) that allow them to add fascinating interactivity onto their work. If you want to take advantage of these modern CSS capabilities, one quick way to do that would be to use (or study) CSS effects libraries. Let me talk about a few open source collections of CSS that will help you craft great transitional interfaces. 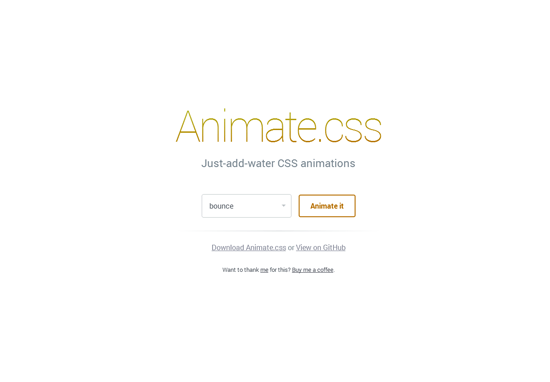 Animate.css is a collection of over 60 CSS effects by Daniel Eden, a designer at Dropbox. Daniel Eden’s work on Animate.css is an inspiration to some of the other CSS effects libraries below. 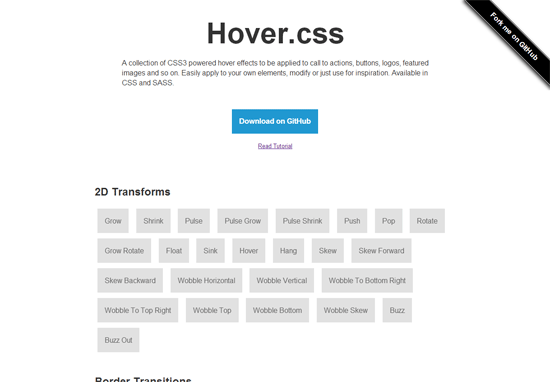 This is a huge collection of 48 CSS3 hover effects by front-end developer, Ian Lunn. What’s cool about Hover.css is it comes with a SASS version, which is really, really handy for a whole lot of us. fancyInput deals specifically with interactions related to your HTML <input> and <textarea> elements. 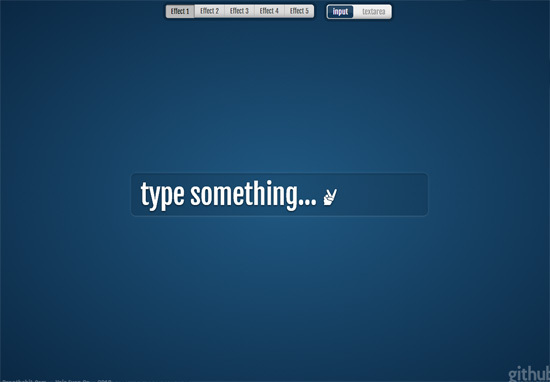 It gives you the ability to implement interesting CSS effects when users type into your form fields. 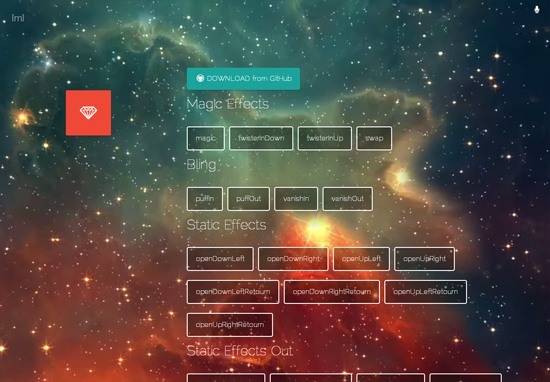 magic is an interesting collection of CSS3 effects. The magic project is inspired by Daniel Eden’s work on Animate.css and is by an Italian developer who goes by the moniker, miniMAC. Effeckt.css — which is still a work in progress — is a Mobile First library of animation and transition CSS effects. The effects included are contributed and curated by designers to make sure they’re tasteful. Effeckt.css strongly emphasizes on performance, one criteria being if it can’t run well at 60fps on mobile devices, it’s out. Read the 9 goals of Effeckt.css and watch the project’s 22-second video on YouTube to get a glimpse of Effeckt.css’s future. 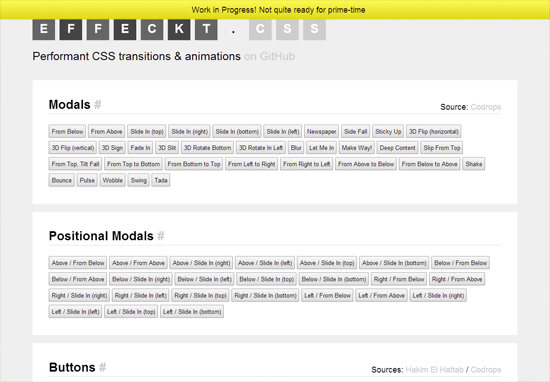 This isn’t an exhaustive list of CSS effects libraries. I’m sure I’ve missed some equally great projects out there. If you know of an open source project that should’ve been on this list, or if you’re working on one, please share it with us in the comments. Thanks!